After acquiring the 2017 jeep, I needed a place to mount my 20+ year old maglite flashlight just so it doesn't roll around under the seats. 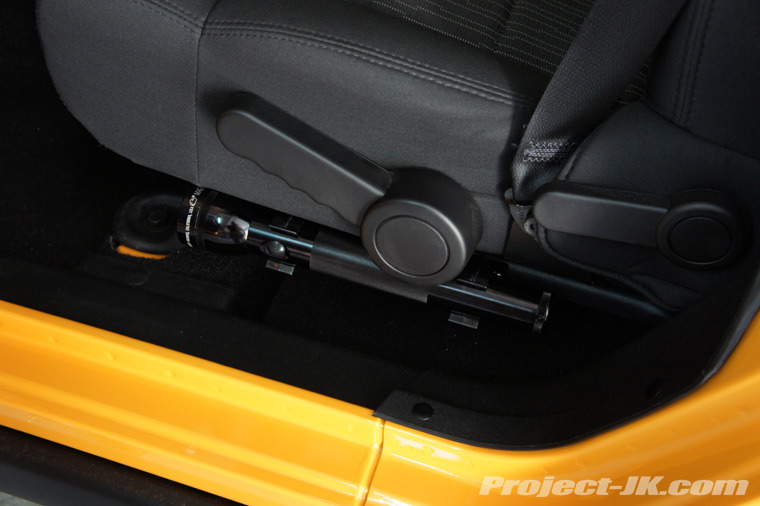 I located a site called project-Jk where as the author of the article spoke about using the plastic maglite clips to retail the flashlight on the side of the seat frame rail. With the way the author described his mounting setup, I felt that there has to be a better way. For one the clips mounted into the seat frame rail holes which had to be drilled. The clips alone had to be angled or positioned outward away from the seat. This just made it harder to extract the flashlight If one was seated inside the vehicle. One other issue, was that the seat adjustment leaver was in the way. 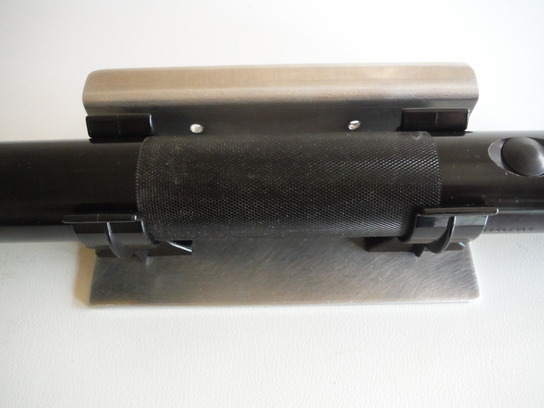 I contacted our shop and asked if they could make a multi angled mounting plate for our jeep's seat frame rail, without having to drill anymore holes. The frame rail already had holes which we eventually used for our plate. The shop created two plates based on my measurements and I did a test fit. The rear of the plate edge was a bit longer than needed and obstructed the movement of the seat. 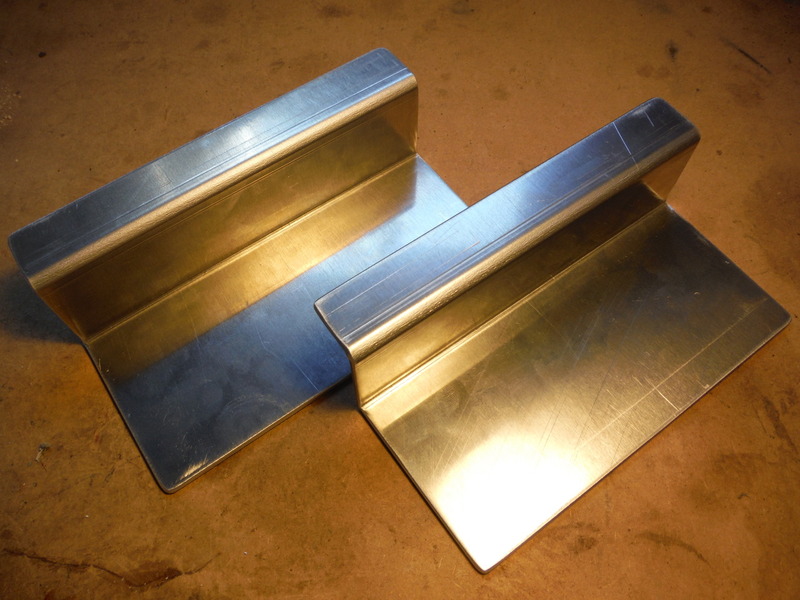 Also, we've elected to relocate these plated to the passenger side of the jeep as there's no seat adjustment leaver. Here's I'm test fitting the clips with the maglite, marking the drill holes, sanding and once again sending to our platers where they will powder coat these plates black for us. The plates returned from the platers and I quickly mounted these up on the jeep. 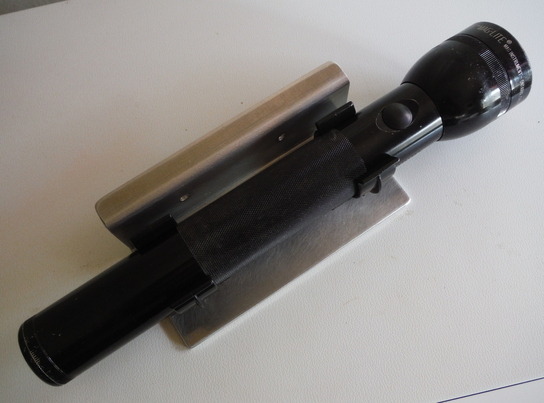 But the following morning, The rear maglite clip broke after just one use. This left em to locate other mounting clips which would withstand nearly any amount of pressure I subjected to them. The Navigator loves the flashlight location and is able to retrieve the flashlight without exiting the vehicle. 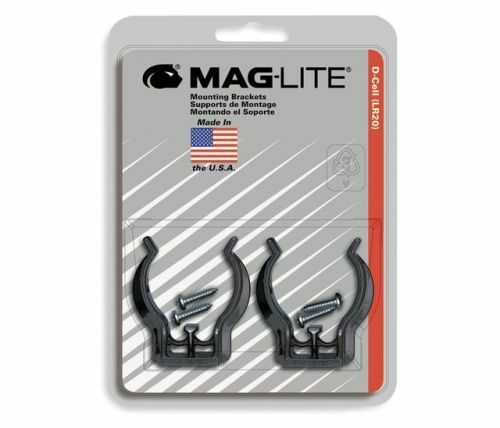 We located a set of the RuggedRidge flashlight clips made of metal & already powder coated. Mounting on the plates, this time the clips and the flash light remain in tact and in place. After posting my write up at another forum, one of the followers suggested that the second plate could be mounted elsewhere on the jeep but retain a small fire extinguisher. We tested this and it worked.